Give the gift that tastes good all year long. Why give just a gift when you can give an experience? A gift card from Jake’s delights those special to you with a fantastic meal and the memory of time spent celebrating with others. Giving others the gift of time spent enjoying the finer things in life shows them how much you truly appreciate them. Gift Cards can be purchased by filling in the form below. For security purposes, we do not collect your credit card information in this form. 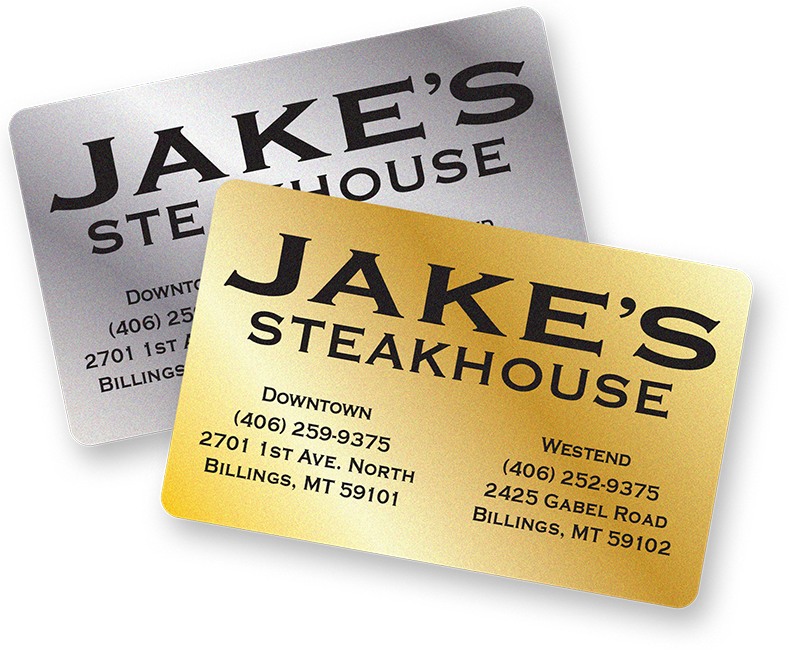 You will receive a call from Jake’s Restaurant to provide your credit card information. If you like, you can also call us Downtown at 406-259-9375 or West End 406-252-9375 to provide your credit card information. Gift cards can be mailed or picked up. Featured appetizers and drink specials daily.